In one Siteblog reviews, l am going to be share with you whether Siteblog is a scam or legit, the pricing model and if its really possible to create a free blog or website on this platform. You are probably reading this review after coming across an advertisement for a ‘free website or blog creation and hosting site‘. In this article, l review Siteblog.com and its aliases such as Site Builder.com and Website Builder.com. If you compare this joke to the platform which l use to create my websites you will be shocked. You can check out the Free Membership which will let you use the web-builder to build 2 100% free websites or blogs. No payment details required. No attachments. l also clicked on an innocent banner on one of the websites and decided to check it out. There is no harm in creating a blog or website for free just to easily share your ideas with the world or your loved ones. l could even create a free blog for my child, dog or cat …….. It was said to be Free! Once, on the landing page of Siteblog.com, l clicked on the ‘Get Started Now. Its free’ tab. After years of reviewing ‘make money online programs’, l had already picked that the ‘Its free’ text was conveniently smaller than the preceding text. My fears where confirmed when l was redirected to a sub-domain ‘…secure.siteblog.com/#b’. When l checked on the website’s tab on my browser of which l always do (see screen shot above), l realized that l had been redirected to a payment processor page. Bells started to ring. The red flag started flying higher. As instructed, l chose my domain name and proceeded. All of a sudden, l was faced with payment options. l have never reviewed a website hosting company with so many up-sells, upgrades and add-ons. Once your surrender your credit card details you are in for a surprise. Every upgrade feature no mater how pricey is said to be at half the price which means you pay full price on renewal. The term ‘NOW‘ is used to denote to the current price which will be increased latter. 1. As you can see from the table above, the pricing is skewed towards signing long term contracts. This will ensure the owners get guaranteed revenue for the following 12 (€119.64) or 24 (€71.82) months. There is really nothing wrong with paying for website or blog hosting if you are made aware of such costs before hand. If you need the Siteblog.com team to create a website for you you can fork out €339 which include stock photos and 7 pages with content. 2. The social booster will cost you €49.95 / Year. Promises to assist you with social media marketing. 3. Email auto responder will cost you €10 / Month. 4. Website Back Up – Will cost you €49.95 / Year NOW – means it’s a discounted price and you will be billed full price on renewal. 5. Cloud back up – if you prefer more advanced back up €49.95 / Year. Discounted price. 6. Restore you website – in-case your website has been hacked or files accidentally deleted €19.99 per site. 7. PDF on how to design an E-Book – once off €9.95. 8. Get your website listed on directories – €47.40 discounted price. 9. Need your website to be protected – €29.95 per site in the first year. l am not sure how you are supposed to seriously create a website without protection from hackers and spam. What if they do the hacking ans spamming to make you pay …. just thinking aloud. 10. Website Ranking boost. Are you pissed off that your website is not ranking in Google? – you pay €49.95 / year and you will get help to get your website ranked on Google. If you were wondering why your website is not getting ranked even after staffing that tag box with keywords… you need to pay for it. l have ranked new one paged websites in Google without paying for any ‘boost’. Do the maths using the half prices. Multiply your answer by 2 for second year renewal. What l liked about Siteblog.com platform. Despite all the issues mentioned above, there was light at the end of the light. Once in, l started testing some of the free features. The dashboard is quite intuitive. l did not watch any video or read any tutorial but l managed to figure out most of the functionalities. The websites are responsive on various platforms. Customizing the websites is very easy with the drag and drop function. Building blogs or websites is indeed a proven method of earning money online. Lots of Siteblog templates to choose from (1 000 plus), choosing one can be overwhelming though. These are from my own experience and others are through research. The purpose is to let you know about other people’s experiences so that you are equipped to deal with the challenges when need arises. Websites are difficult to rank. You are reading this review because it pop up on top of Siteblogs and its affiliate websites. You need to upgrade your membership even to view visitors stats which Google provides for free. 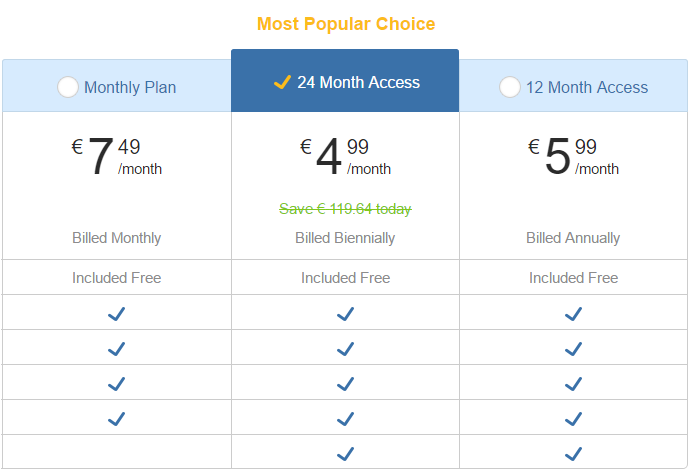 The free option is difficult to locate which forces most people to choose the cheapest option. Done for you websites have poor content and over priced. Loads of hidden charges that are deducted from your account. Too many up-sells and upgrades which require payments. Your website will get deleted if you default in paying without sufficient notice. It is not easy to cancel your account and you need to send support tickets. Money is deducted within 15 days from date of first joining. l was continuously being told to log in which is very frustrating. The free blogs are not free after all, because you pay by advertising their services. l had a few challenges as the text boxes became unresponsive. Is Siteblog a Scam or Legitimate. an illegal plan for making money, especially one that involves tricking people. Surely this is a deceptive plan to trick people who want to create free blogs or websites by ending up selling them web-hosting and endless up-sells. When you dig even deeper, you will realize that it is far much cheaper to advertise on Google and other platforms targeting the words such as ‘free blog‘. For instance ‘create free blog‘ costs as little as $1.47 per click, which means these guys will still make a profit even if they convert only 2 clicks out of 50 to pay for either the 12 or 24 months hosting package. l don’t know about you, but l don’t want a company placing a prominent advertisement banner on my website and they still call it free. There is nothing FREE about such a service; l am paying by advertising for you. The very reason why Google faithfully deposits money into my account each and every month for those adverts l agreed to post on Avert Scams. Now imagine a blinking banner plastered on my website siphoning thousands of visitors to Siteblog.com for life in the name of a ‘free blog or website? That is deceptive, a SCAM at its worst. We are all aware of free blog platforms such as WordPress org and Blog Spot which is owned by Google. These are my recommended platforms if your intention is not in any way to make money online. There is some resemblance of legitimacy when you finally stumble upon the page on which you can create a free website or blog. Yes, site blog has got a free forever plan and other paid plans if you want to own your own domain. At the end of the funnel, you will be able to create your free blog on Site Blog. l finally created mine and you can visit it here. Notice that banner on the footer of the so called free website. Imagine if l drive traffic to and visitors click on that banner ending up paying €119.64 or €71.82 and l get NOTHING, not even a thank you. The free blog can be more costly to you especially if you are also promoting similar products such as web-hosting. Yes, l know this review will hit the first page of Google and thousands will read this review. l could have easily turned it into a positive review and earned $200 for each referral that upgrades membership. l know ‘greed can not be tamed’, l chose to tame mine. If you fell for the deception, it is NOT your fault. Everything is well planned and you can not stand a chance against such a planned scam. You can find support phone numbers by visiting this page. and try your lucky in getting a refund or account cancelled to avoid further billing. 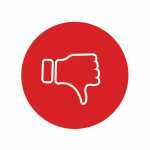 When the worst come to shove, try your lucky with the Better Business Bureau or talk to your bank to stop any further payments. Move your website to other cheaper hosting. All the best. l really feel sorry for innocent people who fell for this scam. My Recommended Alternatives to This Scam. If you have an itch to create fancy blogs using drag and drop features you can check out Weebly and Wix. Unfortunately, the two will place advertisements on your free websites. You pay by marketing their services for them. However, if you want to make money using your blog or website, say by selling merchant products e.g. Amazon and earn a commissions check out free training, tools and support all in one place. You will also get access to a fast web-builder (1 minute or less), 2 free websites or blogs, sub-domains, templates and pre-installed plugins. No payment details are required. Better still, No ads or banners are placed on your free website. That is what l call a free blogging platform. You will only upgrade your account starting from as little as $19, only if you choose to do so. No upgrades, add-on or up-sells EVER! l know this sounds like a marketing gimmick, BUT it is true. If you join the Community on Free Membership (Recommended) by clicking on my affiliate link, l will be happy to show you how to get started. You will also try out ALL Premium features for free during the first 7 days. l will also provide you One-On-One support and share with you some secrets on how to hit the first page of Google. See you inside. 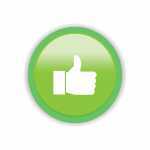 Help others by sharing your opinion and experience with Siteblog.com. l have shared mine. All you have said is correct. I too became very pissed off at the amount of up-selling, but still managed to create a free blog. However, when I published it, there was no post page, even though there was a post page construct in the builder. I was told (by an increasing number of different names) that I needed to upgrade if I wanted a post page in my blog. I said this was false advertising, but they/he said no. Thanks Ian. l hope the owner will up his. Too much hype.